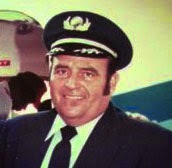 Belated notification with the passing of RW/NWA Captain Norman Lindley....Captain Lindley’s obituary notes that he was a “Commercial Airline Pilot for Northwest Airlines by merger of Republic Airlines and Northwest; and Hughes Airwest by merger of West Coast, Pacific and Bonanza Airlines”. Obituary also notes that he is survived by his wife Liliane. Norman Lindley was born Wallace Lindley Groves to the late Wallace Groves, Wall Street financier and Monaei Lindley, an actress of the 1930’s. After a life time known as Norman Lindley he changed his name legally to Norman Lee Lindley at the age of 31. He grew up in Nevada on the Shadow Ranch located in Sparks, Nevada. Norman experienced life through a variety of jobs and careers. The following is a partial list of careers and jobs practiced by him. Construction laborer, truck driver and oiler. Magazine route man. Locomotive Fireman and Engineer, Southern Pacific Railroad (10 years). Door to door direct sales. Used car sales (Stan Ton Sales). Cowboy and feedlot rider (Winnemucca Ranch Company). Contract hauling and delivery in connection with railroad shipping. Cowboy and ranch hand (Pat Sanford Ranch). Estimator and General Manager for Piazza Tile Company (4 years). Commercial Airline Pilot for Northwest Airlines by merger of Republic Airlines and Northwest; and Hughes Airwest by merger of West Coast, Pacific and Bonanza Airlines. Norman also ran and owned a long list of business including the following: Norm Lindley Rifles, Lindley Construction, Lindley Sporting Goods, Lindley Tile and Marble, Constock flights, Lindley Ranch Company, Lindley Custom haying, Ranch Real Estate Inc., Miller’s Motel, Steptow Enterprises, Cononelos Dry Goods, Great Basin Safaris, The Steptoe Valley Inn, Lindley Livestock Transportation and Contours Express. Known as a marksman with wins in many shooting competitions, Norman was a hunter noted in the record books of North America and Africa for the trophy’s he claimed. He enjoyed many blue water fishing experiences both in the Pacific waters off Kona, Costa Rica and Atlantic waters off Florida fishing large pelagic species. As a custom gun smith he gathered notoriety for the specialized guns he created. Surviving Norman are his wife, Liliane; his children, David, Debbie and Ron; and his grandchildren, Linsey and Ryan. 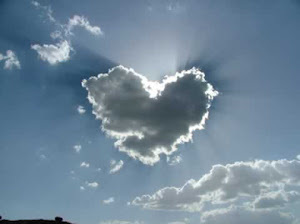 May my father stay busy creating and doing in the heavens above.